When I was in high school I took a Probability and Statistics class. My teacher had this really cool setup that allowed us to perform experiments by using a big bowl of marbles in various colors and paddles with holes in them that could be used to grab samples of marbles at random. Recently, I’ve been preparing to teach my kids some of the fundamental principles of statistics (helped in part by Dr. Nic on YouTube) and I went looking for a similar set that I could purchase. No luck. The internet completely failed me on this one. So, I set out to make my own set and then document the process here for anyone else who might one day head down this same path. I will say that this project fell into the sweet spot between several of my interests: 3D printing, woodworking, and math – so it was fun putting it all together. First, I went in search of marbles to try to replicate the set my teacher had as best as I could. Let me tell you that marbles are not cheap, even when buying them in bulk. I eventually settled on glass beads instead and I acquired a small amount of 8mm beads on Amazon for testing purposes. Next, with beads in hand, I could start designing the paddle. My first and only design turned out pretty good, so it is now available for download on Thingiverse. 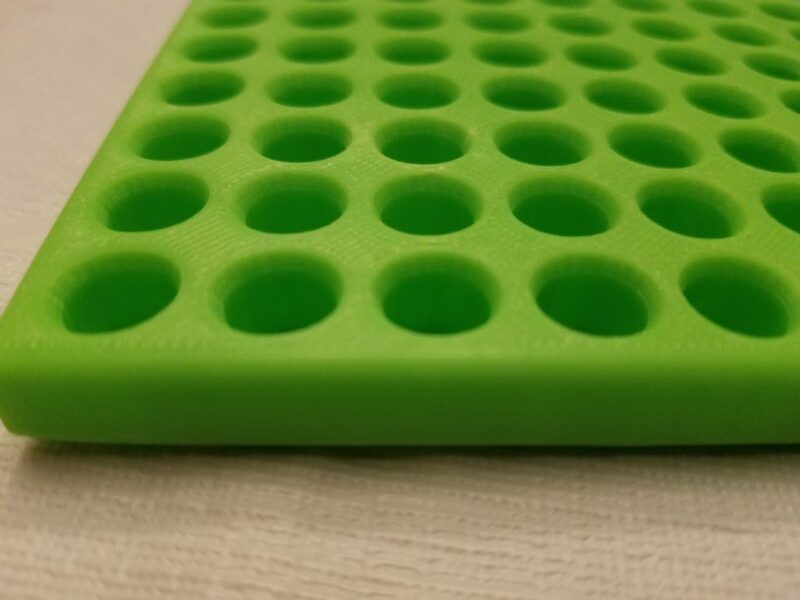 This paddle has 100 holes and turned out to be the largest part (by surface area) I’ve ever attempted to print on my printer. It was a challenge separating it from the build platform and convinced me that if I’m ever going to print things this large again in the future, I’m going to have to retrofit my printer with a borosilicate print bed. But I digress. After I had a working paddle, I needed more beads – lots of beads. 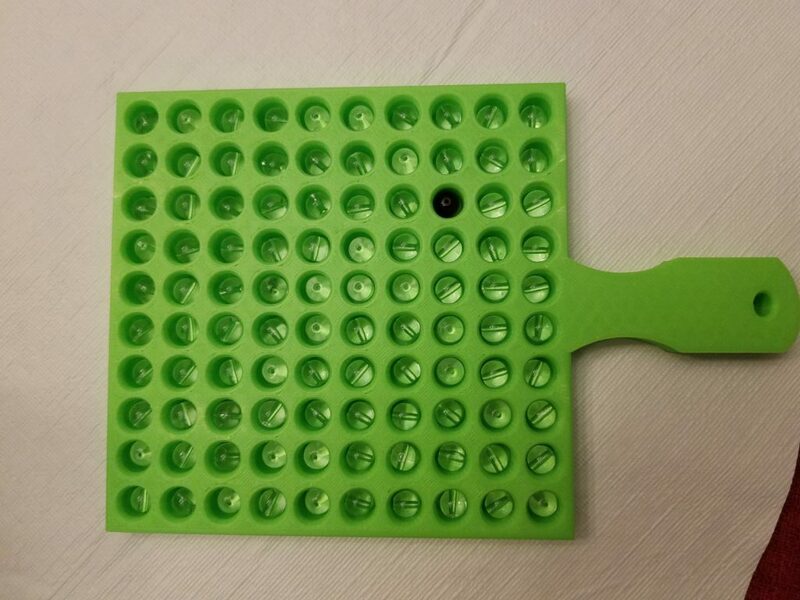 I was looking for 10,000 beads, either white or clear glass, so that my paddle would represent a 1% sample. When you are looking to buy that many of something it pays to go straight to the source (read: China), so I went shopping on Alibaba for the first time. If you go this route, be prepared. It will take a long time to find what you want, and a longer time to get it. There are a staggering number of vendors out there who manufacture every kind of bead imaginable. Most of them are already assembled into necklaces or bracelets, so I had a bit of trouble finding a company that would just sell me loose beads in the size and color I needed. Once I found them, the order process was not as smooth as I had hoped. In fact, they shipped me the wrong quantity (twice), so it took two months and three separate shipments before I had all 10,000 beads. 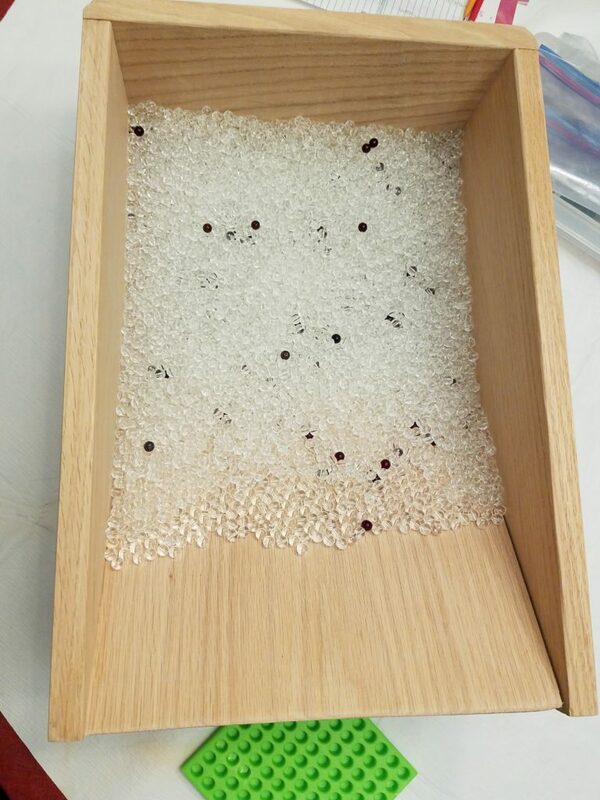 Lastly, I needed a container large enough to facilitate plunging the paddle into the middle of the beads. 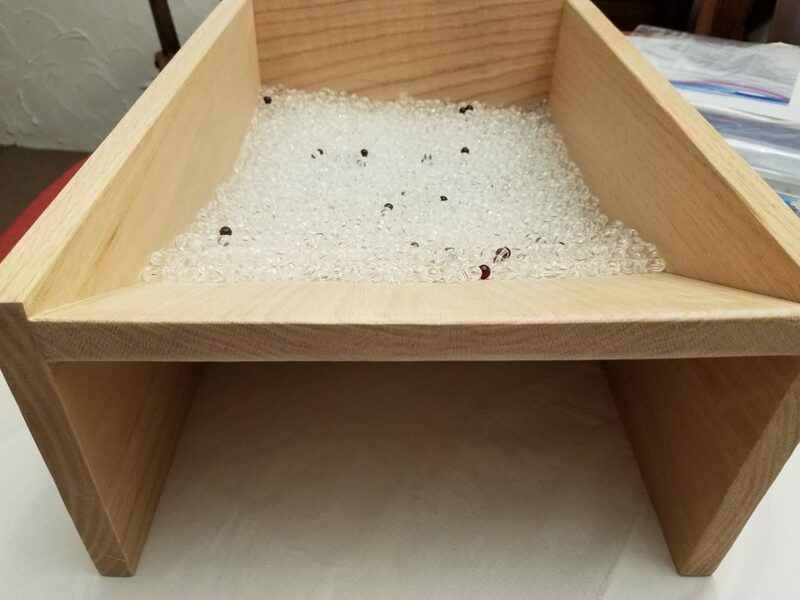 I looked at large wooden bowls on Amazon and at TJ Maxx and Marshalls, but all of them were either too small or too expensive. In the end, I looked at my supply of scrap oak and decided a free wooden box of my own making would fit the bill nicely. I even made it with one sloping slide to make operation of the paddle easier. I’m pretty happy with how the whole thing turned out (although it is crazy heavy). 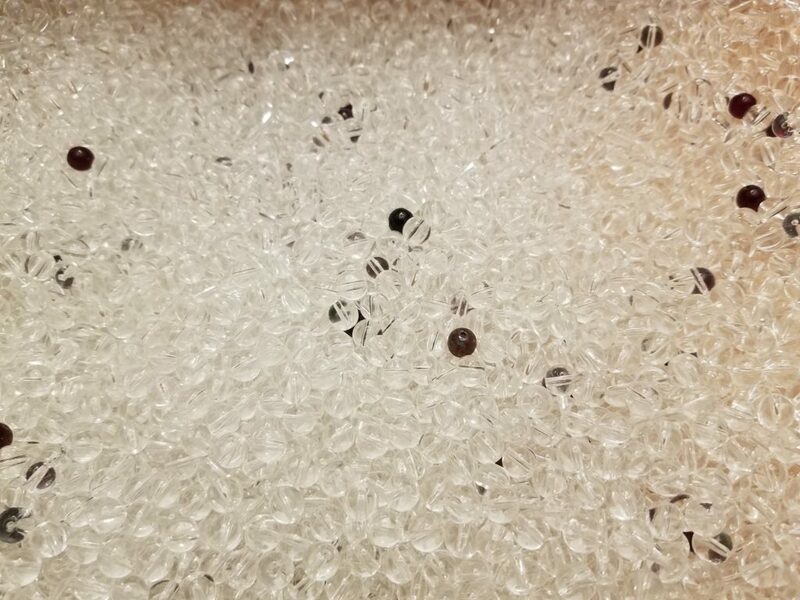 So far, we have tried removing 100 of the clear beads and replacing them with 100 dark colored beads. 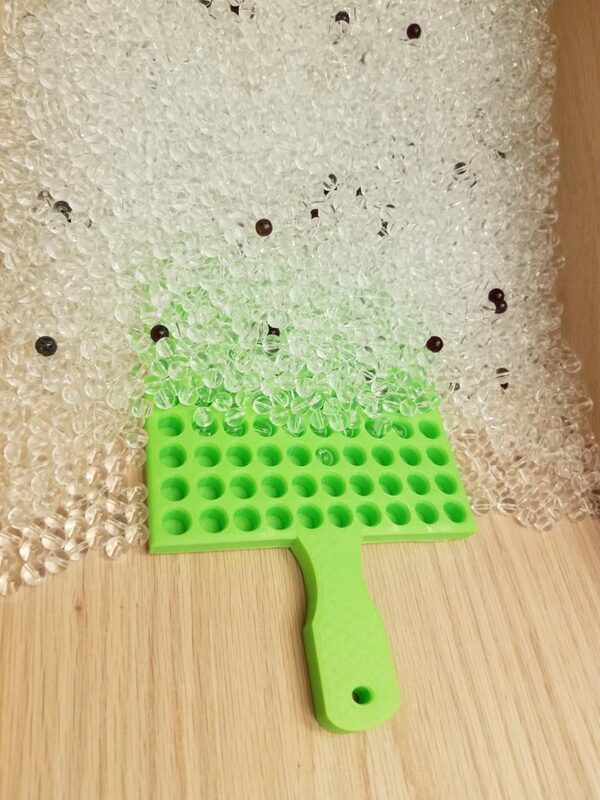 In theory, this should produce samples that contain, on average, one dark bead every time we put the paddle in the box. We’ve come close to that, but not as close as I would have expected. So we are still tweaking our sampling and stirring methods. I’ll report back here if we discover anything of interest. Wow! I’m a high school math teacher and would love to have a set of these. I’ve checked online and the prices are way out of my reach. 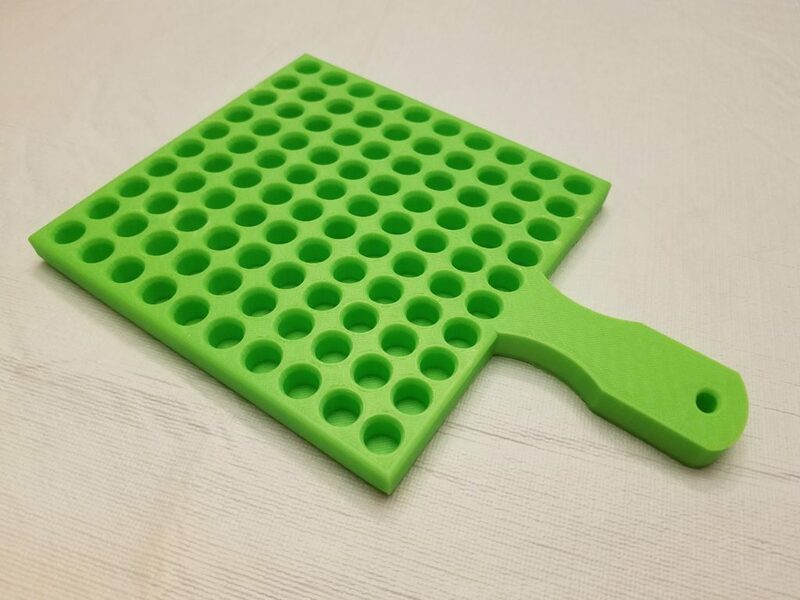 Would you be willing to make a set of paddles to sell to my school? Please let me know.